The VOLUNTEER fire service is there for our community, because of our community support. Volunteers spend countless hours a month raising funds in-between answering emergency calls, working full-time jobs & balancing family life to be able to keep the doors open and provide communities with the best fire & rescue protection they are able to. But when an individual DEFACES and VANDALIZES property of a volunteer fire company, this not only hurts us but hurts the community who donated funds to us. 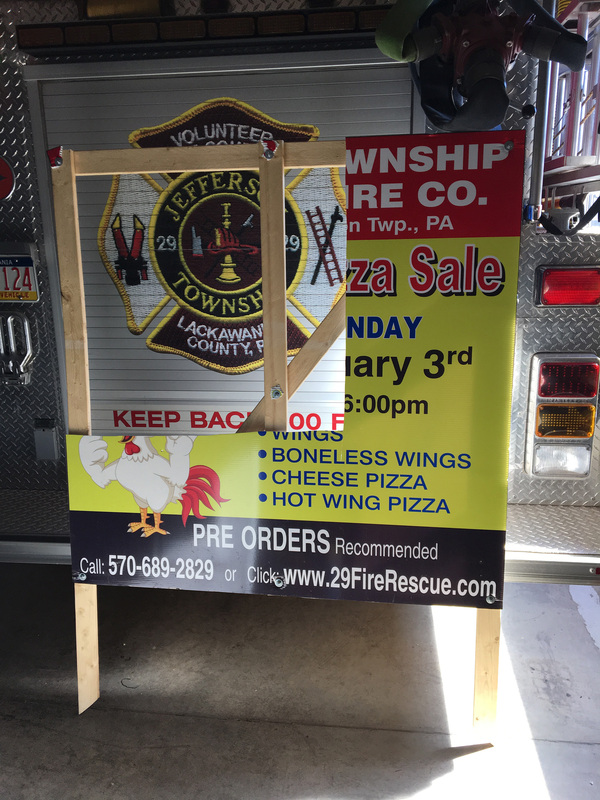 Shown here is a photo of one of our fundraising advertising signs that was found yesterday to be purposely cut and destroyed. The money that we will need to be spent on replacing this sign could have been used to refill an oxygen cylinder that would be used on a traumatic accident/medical emergency or buy a pair of fire gloves for a firefighter. We hope to never have to compromise the services we are able to offer because of this sickening behavior. Ask yourself, what would you do if you needed a fire truck or ambulance… and one never showed up? At some point in your life everyone will have some type of need/interaction with a First Responder. We don’t get paid to do what we do. We wake up without hesitation at all hours of the night, when our community needs us, because we care about our community. Anyone with any information on the individual who may have caused this damage, is urged to please reach out to us.